World War II veteran received the nation's highest award for valor. George T. Sakato, the last survivor of seven Japanese American veterans who received the Medal of Honor -- the nation's highest award for valor -- passed away Wednesday evening in Denver. He was 94. 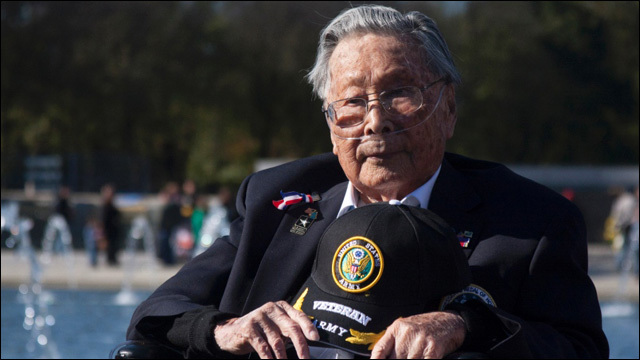 Born in Colton, California in 1921, Sakato joined the U.S. Army in 1944 after his family relocated to the Arizona to avoid internment on the west coast. 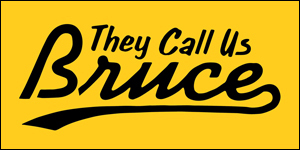 He fought in Europe with the all-Japanese American 442nd Regimental Combat Team, one of the most highly decorated units of World War II. Private Sakata received the Distinguished Service Cross, the Army's second-highest award for bravery, for his actions in a brutal battle in northeast France in October 1944 to rescue more than 200 soldiers from the Texas National Guard who were trapped behind enemy lines, later known as the "Lost Battalion." George Taro Sakato grew up outside San Bernardino where he graduated from Redlands High School. After World War II began, his family moved to Arizona to avoid internment on the west coast. 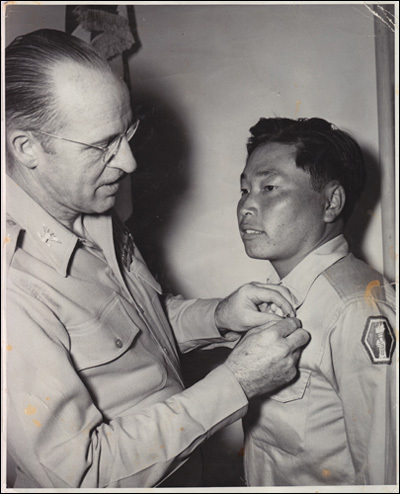 He joined the Army in 1944 and volunteered for the 442nd Regimental Combat Team, which was mostly made up of Japanese-Americans. In October 1944 after his platoon had virtually destroyed two enemy defense lines near Biffontaine, France, his unit was pinned down by heavy enemy fire. Disregarding the enemy fire, Private Sakato made a one-man rush that encouraged his platoon to charge and destroy the enemy strong point. Taking charge of the squad after his squad leader was mortally wounded, he continued his relentless tactics to stop an organized enemy attack. He was awarded a Distinguished Service Cross for his actions, but the 1990s review upgraded it to a Medal of Honor. The 442nd Regimental Combat Team remains the most decorated for its size and length of service in the history of American warfare. Mr. Sakato was originally recommended for the Medal of Honor, but was denied because, you know, racism. But over fifty years later, on June 21, 2000, Mr. Sakato was one of seven Asian American veterans who were finally awarded the Medal of Honor by President Bill Clinton at the White House, in a gesture of belated recognition. Fifteen other individuals were awarded medals posthumously. Mr. Sakato is survived by two brothers and a daughter. Rest in peace.